Whey protein concentrate, whey protein isolated, cocoa powder, natural & artificial flavors, sodium chloride, Sucralean® brand sucralose, and acesulfame potassium, stabilizer potassium phosphate, sodium phosphate, guar gum, xanthan gum, mono and diglycerides of fatty acids. For a great tasting, delicious shake combine each scoop of WHEY4HD™ Protein with 4 to 6 ounces of cold water (depending on personal preference for desired thickness). For added body blend two or three ice cubes with WHEY4HD™. Use 2-3 servings daily. Always drink 12 to 16 ounces of additional water for each protein shake consumed. ALLERGEN WARNING: This Product was made in a facility that also processes Milk, egg, soybeans, peanut, tree nut, fish, crustaceans/shellfish and wheat products. 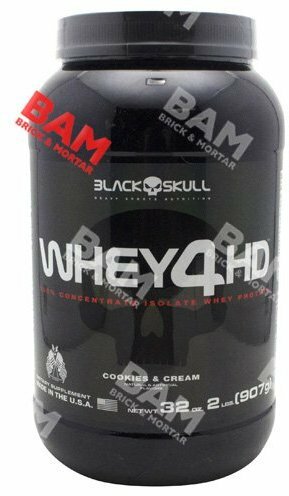 Whey protein concentrate, whey protein isolate, natural & artificial flavors, stabilizer xanthan gum, red beet powder, citric acid, titanium dioxide, sodium chloride, sucralose. This product was made in a facility that also processes, milk, egg, soybeans, peanut, tree nut, fish, crustaceans/shellfish and wheat products.Contains ingredients from milk. Whey protein concentrate, whey protein isolate, natural & artificial flavors, xanthan gum, sodium chloride, sucralose. Whey protein concentrate, whey protein isolated, red beet powder, natural & artificial flavors, sodium chloride, Sucralean® brand sucralose, and acesulfame potassium, stabilizer potassium phosphate, sodium phosphate, guar gum, xanthan gum, mono and diglycerides of fatty acids. Whey protein concentrate, whey protein isolated, natural & artificial flavors, sodium chloride, Sucralean® brand sucralose, and acesulfame potassium, stabilizer potassium phosphate, sodium phosphate, guar gum, xanthan gum, mono and diglycerides of fatty acids.